ACUE fields many questions about active learning, particularly from STEM instructors seeking to transform their classrooms with student-centered practices. 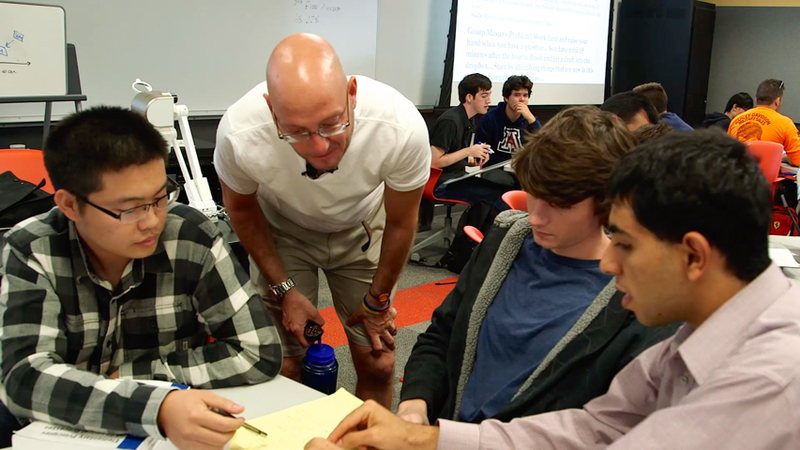 In this month’s Expert Dive, Dr. Paul Blowers, distinguished professor of chemical engineering at the University of Arizona, shares how he incorporates teaching practices that engage students as well as his efforts to promote the widespread use of active learning practices across his field. Paul is posting an essay on The Q Blog about how to avoid common pitfalls when implementing active learning techniques in your STEM class for the first time. Paul will be chatting with Bonni Stachowiak on the Teaching in Higher Ed Podcast. You can submit your questions about active learning to our community forum. If you post a question by November 17th, Paul will respond to it in an online office hour. Each month, ACUE’s Expert Dive series takes a “deep dive” into some of the most pressing issues and topics in higher ed instruction, with nationally recognized experts leading the conversation and responding to your questions. Upcoming topics include supporting diversity and inclusion, developing career-ready students, and promoting the use of high-impact practices.